Use these large, wet towelettes as a grooming solution or as a bath alternative. 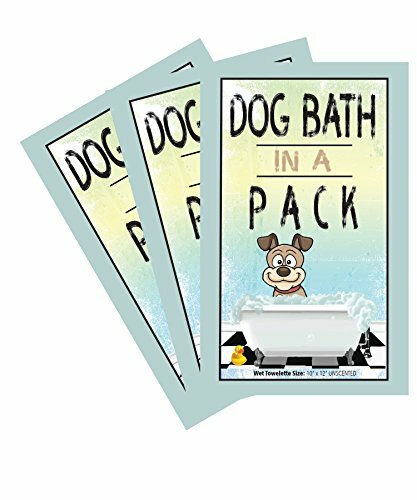 DOG BATH IN A PACK wipes are specially designed to clean pets' dirty paws, undercoat and dirty bottoms when soap and water are not available. These natural wipes contain no animal by-products, are Paraben and alcohol free and contain a shine-enhancing coat conditioner. Safe for daily use. If you have any questions about this product by Good Dog Wipes, contact us by completing and submitting the form below. If you are looking for a specif part number, please include it with your message. Greenbone Everyday Use No Alcohol Fomula Natural Pet Wipes 84 Count 8" x 7"